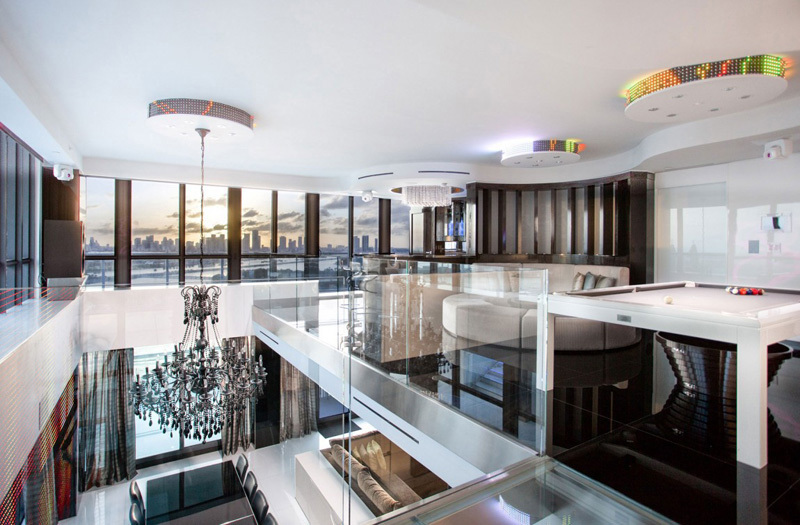 A stunning luxurious residence that is located by the bay. Whenever we hear or even read the word Miami, we can always think of the stunning beaches and quiet moments with our family. We always dream of having a rest house settled in this place. Have you dreamed of spending your summer vacation or even purchase a property in this city? 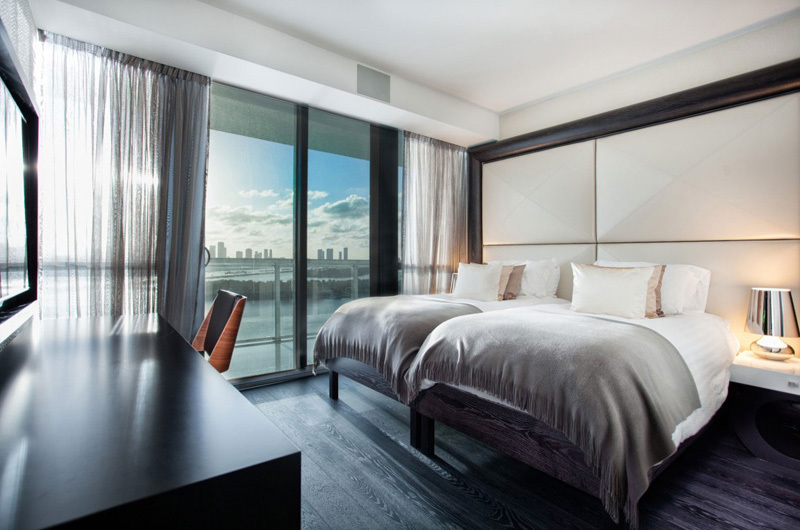 Indeed Miami is a great place for rest houses, penthouse and even private residences in state of Florida, USA. Summer would not be complete without spending it in Florida with your friends and relatives, right? 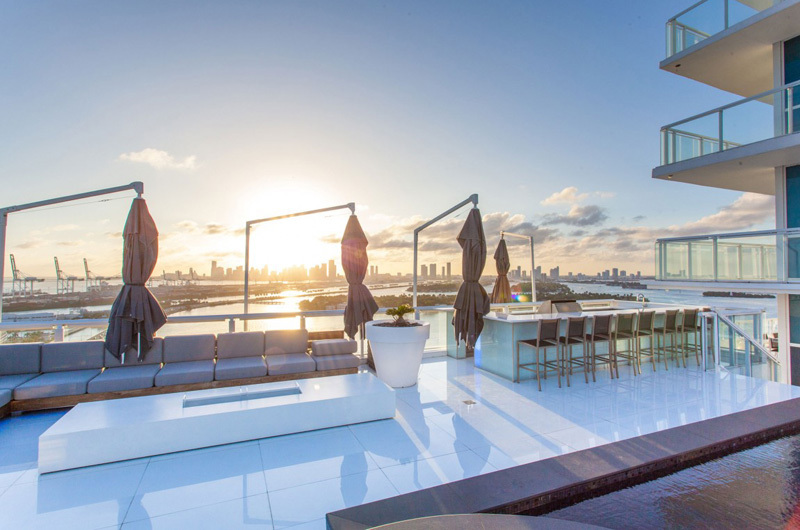 Well, today we will explore Miami and at the same time the known private residence situated specifically in Biscayne Bay, Miami Beach, Florida USA. This home is graced with five bedrooms and five bathrooms which covers an area of 6,000 square feet. For those who are interested to avail of the best scenario and the best experience you are dreaming of, this private residence is the best place for you. This $18.9 Million worth private residence has a private rooftop Jacuzzi and pool, a private gym and steam room. 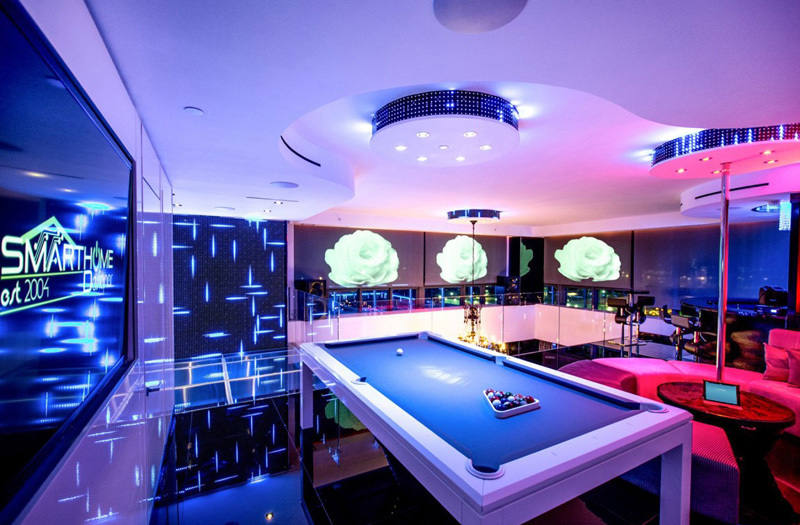 Also the designer secured an entertainment area with a custom pool table, full wet bar and a professional sound system. The lighting system in this house presented a well-groomed and enchanted appearance both to the interior and its exterior. There are many surprising features that will really amaze the client and other buyers who would like to avail of its advantages. 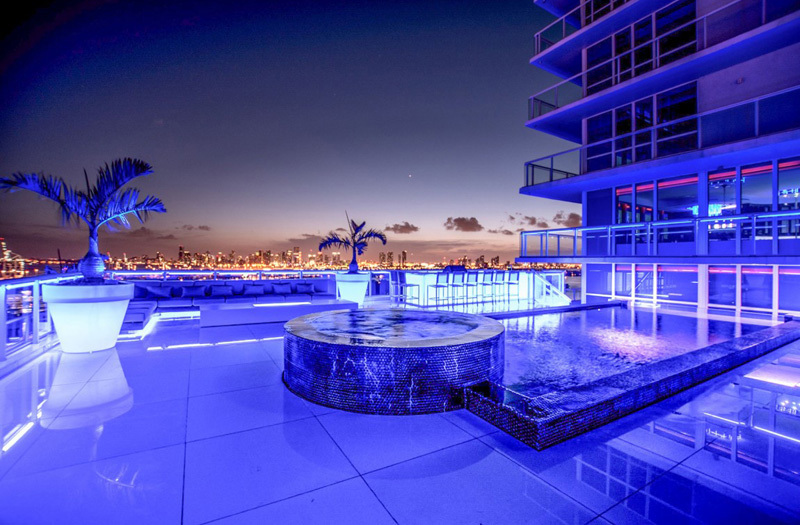 You may take a look at the different areas of this private house named as Bentley Bay’s Essential Miami Beach Penthouse through the images below. 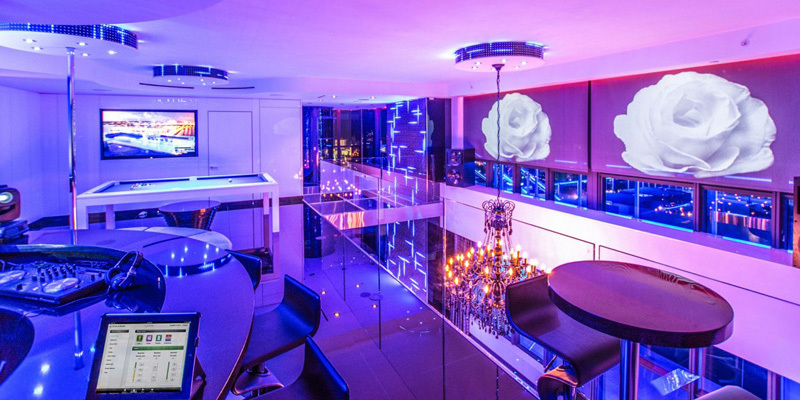 Unique feature: This private residence showcases its unique features through its futuristic elements with the incredible lighting system, sustainable lights, costly furniture and accessories that every client may dream to have. 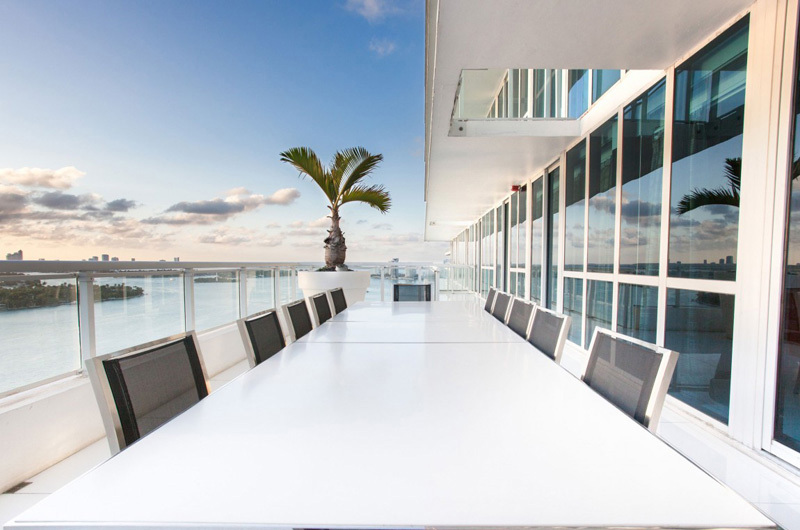 See how the exterior with these comfortable seats and table set captures the sunset that ensures elegance and comfort. Smooth texture of the floors is enough to underline its uniqueness and modern concept. 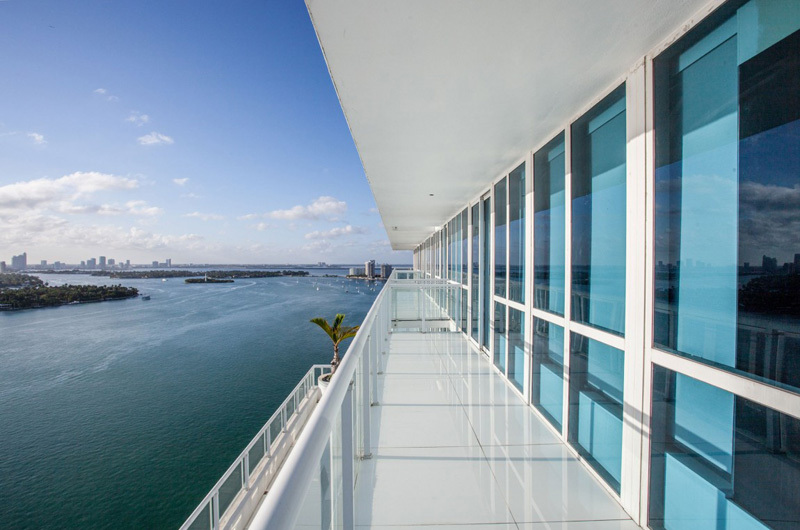 The glass framed terrace provides the great opportunity for the future client to experience the oceanic views. Natural surroundings adds more comfort and charm to the private residence. A perfect stay is ensured in this house as you feel the serenity and tranquility at the bay. The glass materials in the walls and terrace embrace the smooth texture and elegance, too. Different shapes presented in the living space and the black and white color stand out from the furniture and appliances in the house. These shows the contemporary concept and style that may attract the people who wants to purchase a new home. Luxurious chandelier graced the costly dollar dining set that matches perfectly with the concept and theme used in the dining space. Glassed walls allows the client to fully view the exterior. Great shapes and sizes blended well with the glassed walls and windows in the house building. Excellent food and quality time may be best offered in this area not just in the afternoon but in the evening as well. 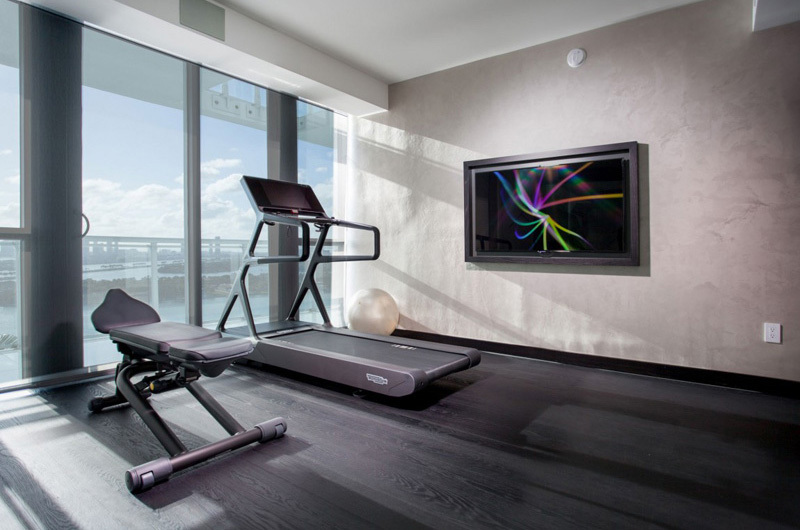 Here is the private gym where the client can freely work out and comfortably see the beauty of the nature through the glassed walls. Sustainability is also featured in the area and it is a great idea to reduce the energy consumption here. Neat and clean kitchen is well-presented here as you can see the modern kitchen fixtures and appliances. The smoothness of the table and sink in the kitchen underlines its cleanliness and charm. A simple design but a picture of contemporary style from its furniture and mattresses may certainly bring comfort to the client. 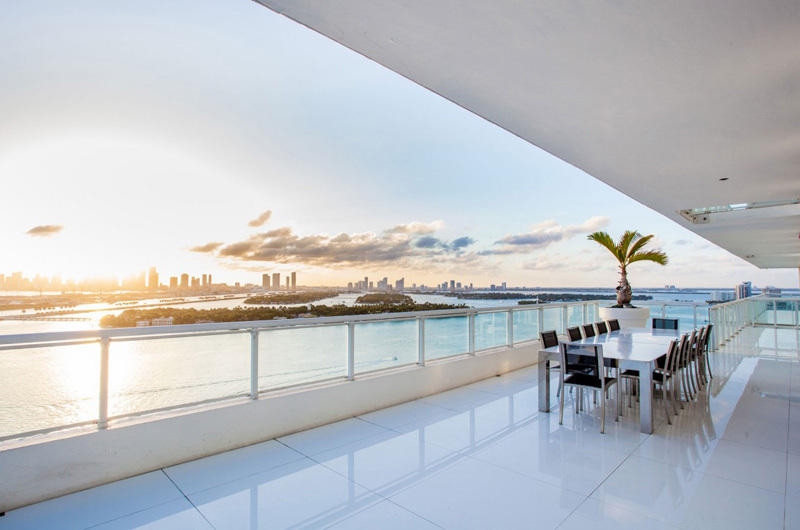 The easy access to the terrace and the wonderful views of the bay may be beneficial to the client who may effectively feel the real sense of privacy. Different edge and dimensions of the furniture and this twin bed may allow the client to witness the luxurious and charming bedroom. Here’s the spacious master bedroom that offers the neat and expensive details of its furniture, bed, fixture in the shower room and the mirror that shows its enchanting features too. 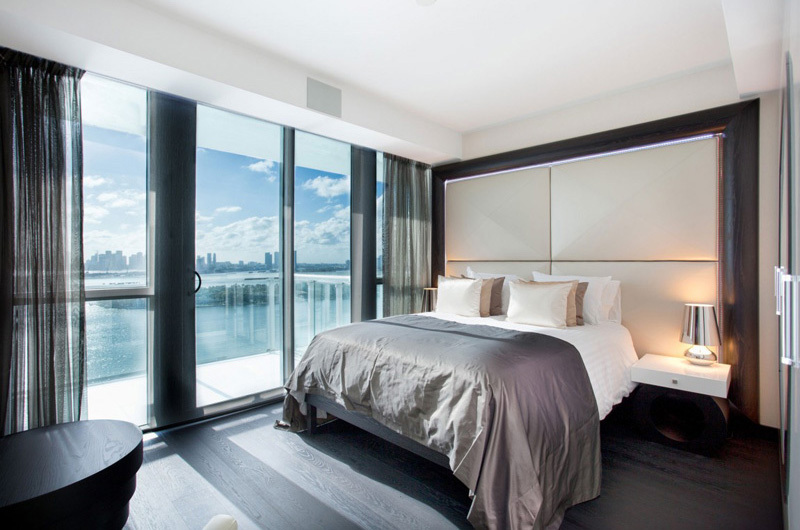 Here is the area where the huge bath tub and shower room is separated by a transparent glass material that shows its connection to the master bedroom. Natural light can access the interior for its glassed walls and doors. 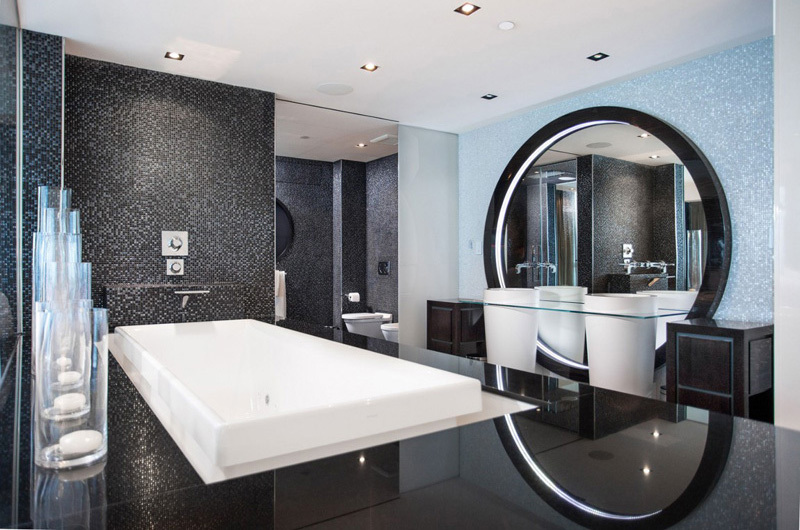 The rough and smooth texture is well-observed in this master bathroom. Different geometrical shapes of fixtures and accessories can show its elegance and neatness, too. See how the modern fixture and lighting system emphasized the stunning and hygienic look of the bathroom. 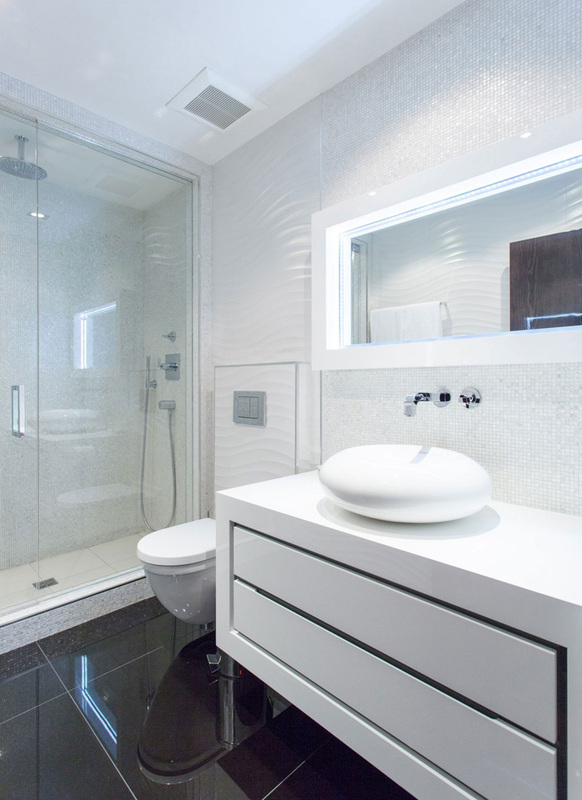 The white color and glass elements utilized here made this bathroom become more spacious. From the second level of the house, we can see the other areas in the interior that consistently showcase its flawless and expensive features of the house. 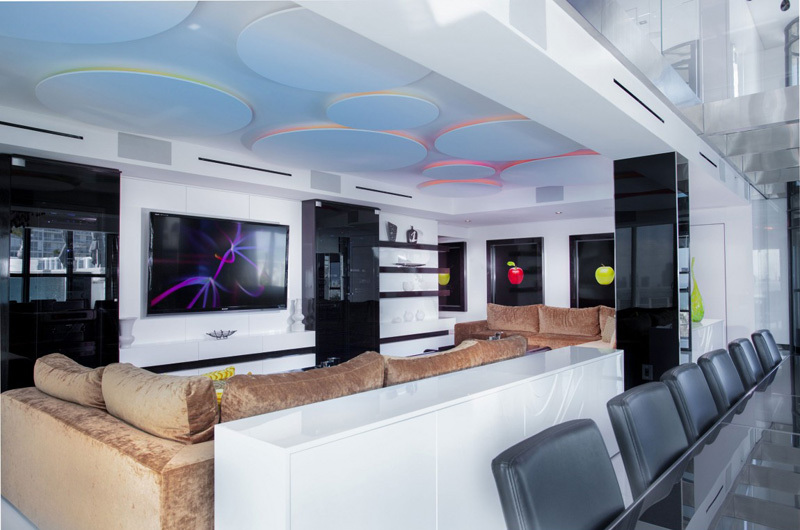 When dark comes, the lightning system underscore the trendy and fashionable design of the entertainment space in the second level of the house. Here’s how the private swimming pool area looks like at night when the enchanting lights create an incredible design and concept here. A highly futuristic approach is implemented in the interior design from the first level to the second level of the house. You will be amazed of every details of this house offered from different parts in all levels. As we explore the different areas in the interiors and exterior, we may definitely say that the Zilbert successfully showcase its design and remarkable concept. 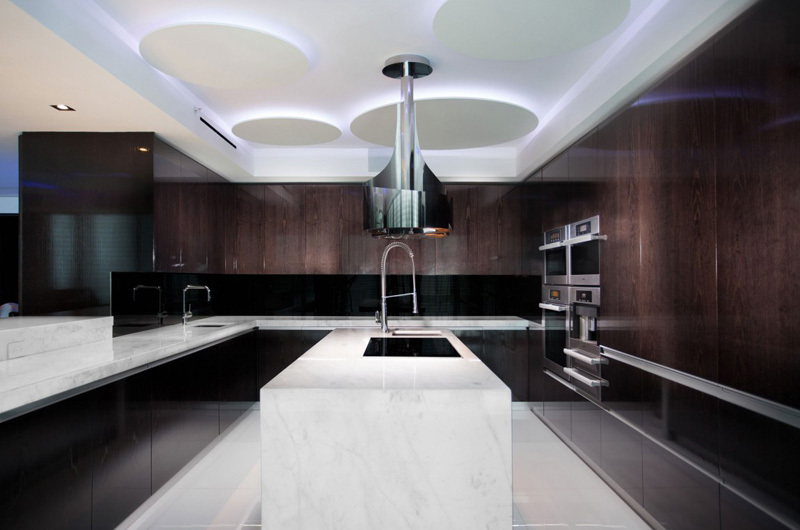 The client may certainly enjoy and fascinates with the enchanting look and experience in the house. I personally like the accessible views in the terrace and the lighting system both in the interior and exterior. Its uniqueness may surely capture the every heart and eyes of a homeowner. We hope that the design of this house may give you another set of ideas and inspire you to apply its design in your own home in the future.